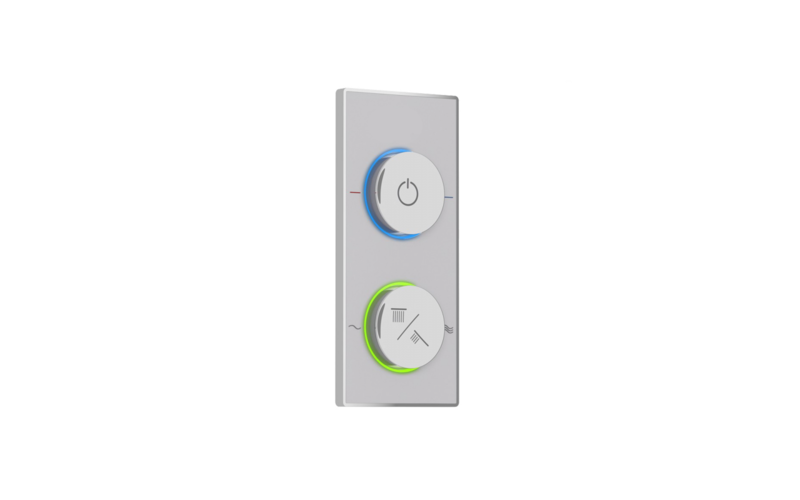 The control interface is the visible part of the Aquatica IQ Smart Shower system. Mounted on top of a black or white decorative Gorilla Glass panels, the controls are easy to use and look stunning with the RGB LED accent lighting. The 2 round handles are used to control the power, temperature, water flow and electronically control 3 outlets – all via intuitive control wheel rotating, just like in any other conventional shower system. The cost efficient IQ Smart Shower system ships complete with the IQ Shower E-valve control enclosure (mounted inside a wall) and is powered by the Smartap Cloud and Intel CPU. The combination of the digital control system, E-valve technology, Smartphone app and Smartgrid water management system represents a major breakthrough in water management technology and water usage efficiency. Moreover, the Aquatica IQ Smart Shower system becomes an important building block of any Smarthome. Products is cUPC certified. 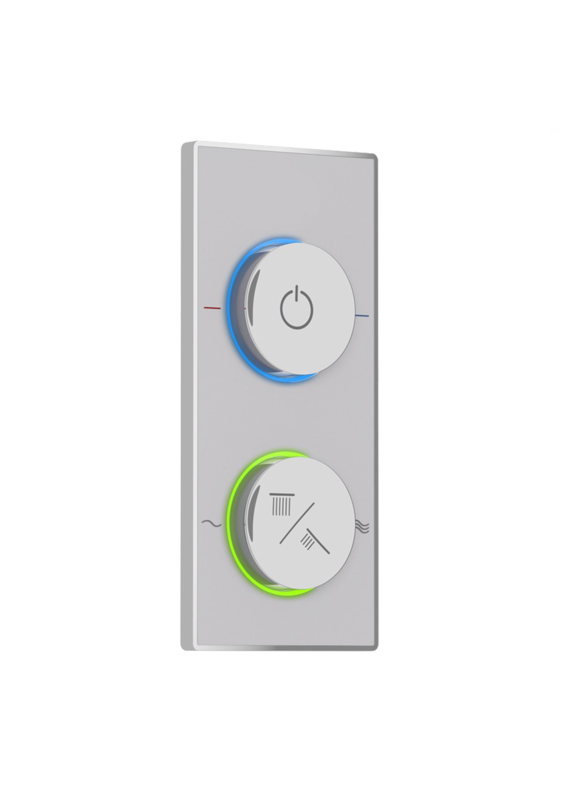 The control interface is the visible part of the Aquatica IQ Smart Shower system. Mounted on top of a black or white decorative Gorilla Glass panels, the controls are easy to use and look stunning with the RGB LED accent lighting. 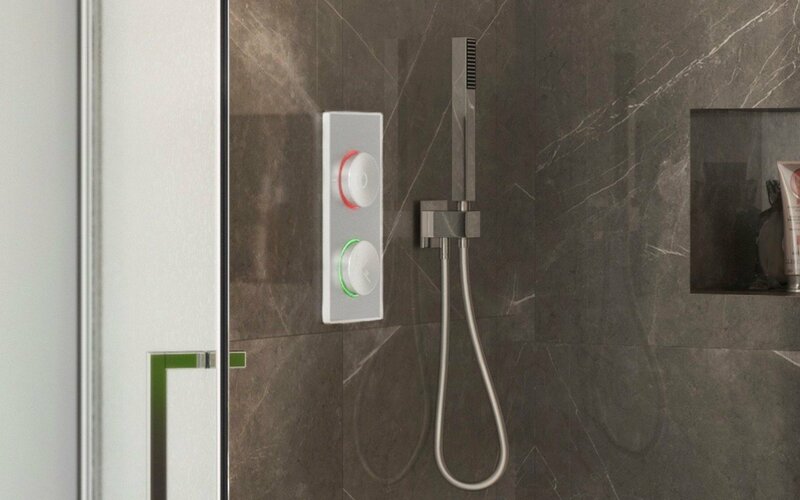 The 2 round handles are used to control the power, temperature, water flow and electronically control 3 outlets – all via intuitive control wheel rotating, just like in any other conventional shower system. The cost efficient IQ Smart Shower system ships complete with the IQ Shower E-valve control enclosure (mounted inside a wall) and is powered by the Smartap Cloud and Intel CPU. The combination of the digital control system, E-valve technology, Smartphone app and Smartgrid water management system represents a major breakthrough in water management technology and water usage efficiency. Moreover, the Aquatica IQ Smart Shower system becomes an important building block of any Smarthome. Products is cUPC certified. State-of-the-art IQ Smart Shower provides accurate and steady regulation of temperature and flow rate for unique and exceptional shower experience while retaining intuitive conventional style control wheel - just like in any other conventional shower system. IQ Smart Shower has the ability to measure every drop of water used. 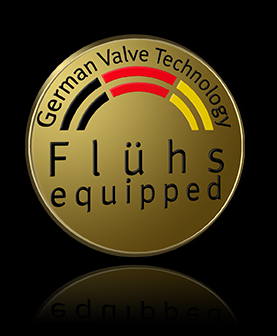 It gets all the info you need on temperature, flow, and pressure. The cloud server collects and stores the data from each inlet, where it is being processed and analyzed via BI software tools. IQ Smart Shower will ensure that the water temperature will never reach unsafe levels. 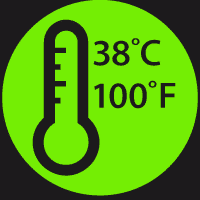 Use the provided APP or web interface to set the maximum temperature, and the system will shut down instantly in the event of extreme high temperature or pressure loss. Aquatica IQ Smart Shower system integrates with Amazon Alexa via home WiFi and the Internet. Now you can simply talk to your shower! Detect leaking showers promptly. 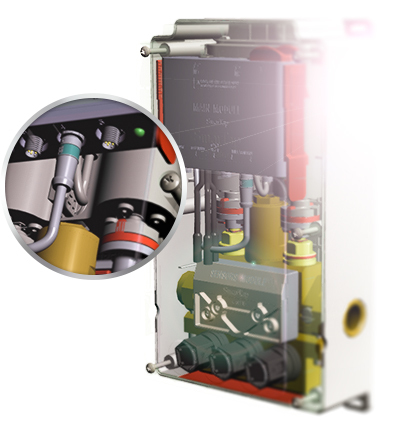 IQ MEMS embedded sensors will detect leaks and notify you via the App. In cold regions, outdoor pipes are exposed to extreme cold temperature and could potentially freeze. 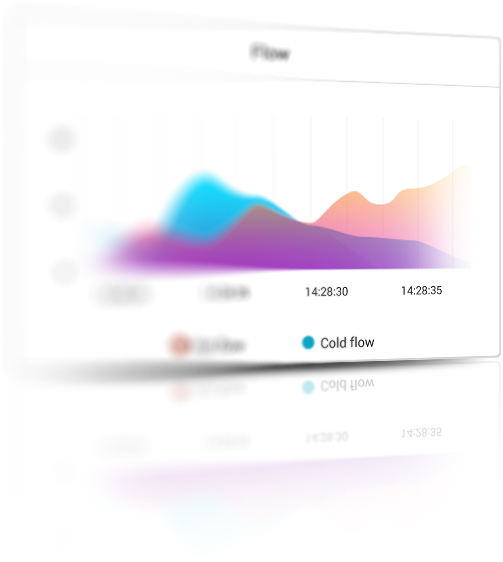 IQ Smart Shower will initiate automatic dripping according to real-time pressure measurements, which will eliminate the chances of your pipes freezing up. IQ Smart Shower system saves considerable amounts of water and makes an efficient use of our planet’s energy resources. You can program your IQ Smart Shower using the free application that is available from Google Play Store and Apple App Store. Want your shower to be ready for you when you get back home? Or automatically fill your bathtub? Now, it’s easy and within your fingers’ reach. IQ Smart Shower integrates with your smart home and can learn your usage patterns. IQ Smart Shower APP and online water and energy management application SmartGrid has been developed to harness the latest technological advances and allow the user to access, monitor, control, and care for the system from anywhere in the world, using any Android, IOS enabled phone or tablet.